This post is me challenging you to not become a television zombie. As someone who writes about pop culture, I don’t believe there is anything inherently wrong with enjoying quality entertainment. The problem comes when our favorite shows begin to dip in quality. A show which once gave pleasure now becomes a chore to watch. The episodes begin to pile up on the DVR. The familiar theme song which once produced chills becomes a death knell. Why do we suffer through television as a chore? Why do we let tv bring us down? TV does not deserve this power. Life is too short to be tied down by average television shows. You don’t have 100 hours of your life to waste on things you don’t enjoy. Think about it: 100 hours is what you might spend in your life watching just one television show. That’s about 4 full days of your life. Think of all the average shows you’ve devoted four or more days of your life to over time. TV tricks us with serialization, producing a desire in the heart to see the complete story of a character we once felt an attachment and relationship with. I mean really, how is a show like “Supernatural” still on the air? No show needs to last 195 episodes (and counting). Fans still feel the need to see where the story ends. But if you’re not enjoying a show anymore, then it does not deserve your time. Are there any tv shows on your season pass which don’t deserve to be there any more? Today is the day to end your relationship with them. Break the habit. Set yourself free. 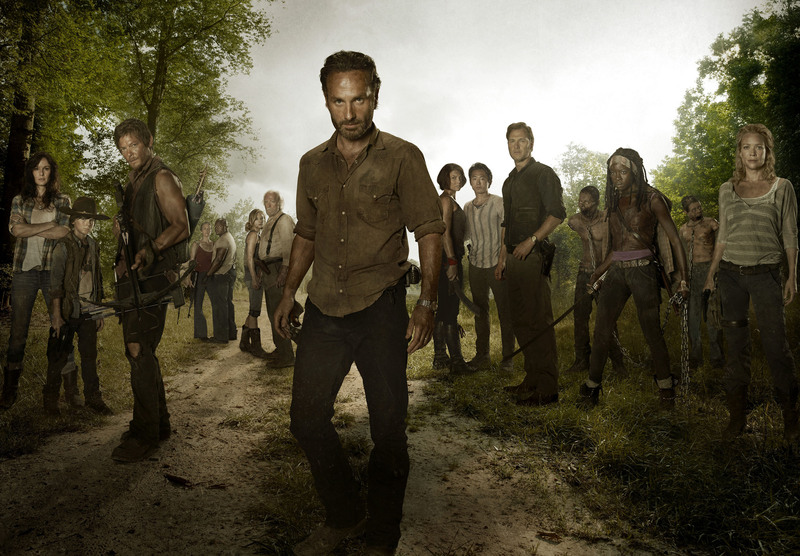 Enjoy “The Walking Dead”. Just don’t become The Watching Dead. Is there a tv show you’re watching out of habit you need to break up with? “Once Upon A Time” seems to be that show…but every few episodes I get recaptivated again. Something about shows that take me to a different place in my mind….love’em. The best shows have a way of doing that. I think we just shouldn’t be afraid to cut the cord when they no longer captivate our brains. yes. i am considering stopping that girl. you should add survivor to the list. awful. and ellen. awful. and parks and recreation. awful. and american horror story is teetering.